The proposal is a site specific work relating to a typical site seeing tour in Norwich. It is based on the idea to add another important building/site to the original list of 12. Those buildings were very impressive monuments. The main impression from Norwich is the incredible amount of churches spread around the city. The most apparent element in the city seems to be the Gothic arch. 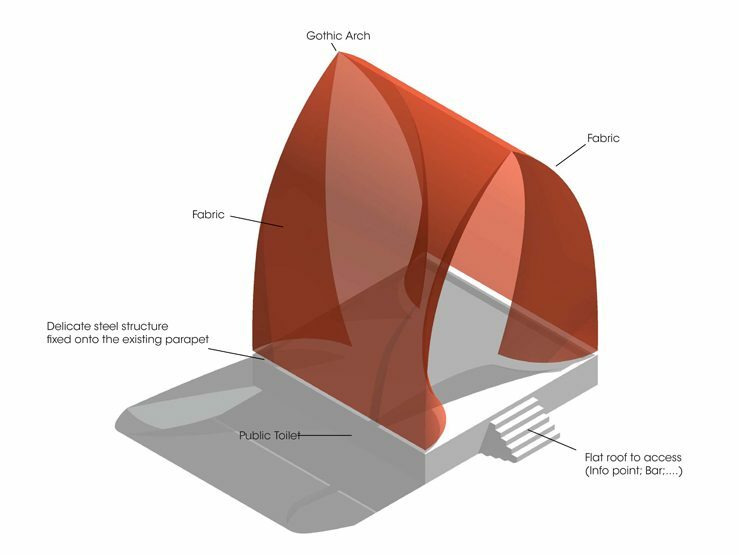 It’s a very beautiful and celebrated architectural element. The spaces between the 12 monuments are very important and they seem for a need to be treated. One of these sites is a small plaza between the main cathedral and the old town adjacent to the main road and dominated by the flat roof of a public toilet. 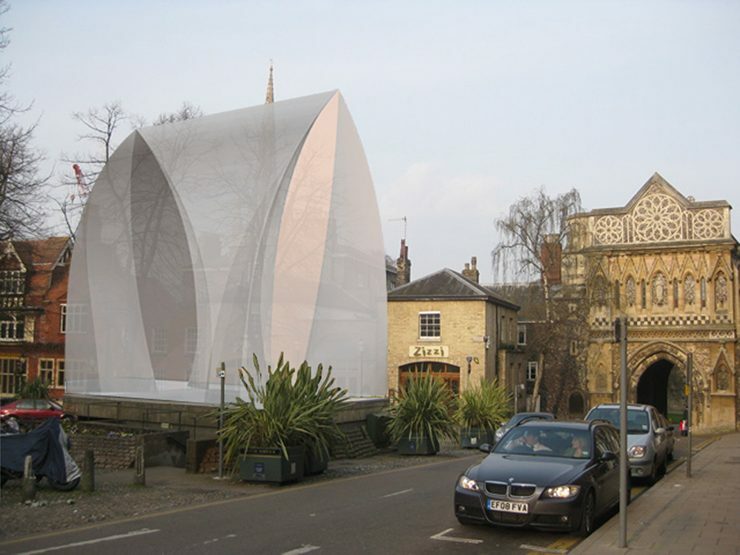 This roof appears to be an ideal foundation for a structure which could be a beacon for the Norwich festival, combining public functions with the need for a beautifully designed object. This structure is based on the Gothic Arch, a ca. 10m high covering fabric structure which can be accessed and used for Public Gatherings.